Welcome to D. D. Enterprises, Manufacturer and Exporter of Electronic Products and Chemical. The company was established in 1998 at Pune. We serve to Chemical, Leather, Paint and other industries. Cutting edge technology, Large production capacity and Expedite delivery schedules make us the first choice of our clients. We offer a wide variety of Agriculture Fertilizer, Sulphate Chemicals and Chemical Products. Our Packing, Electronic Products and PCB Inks are widely acclaimed in the market. 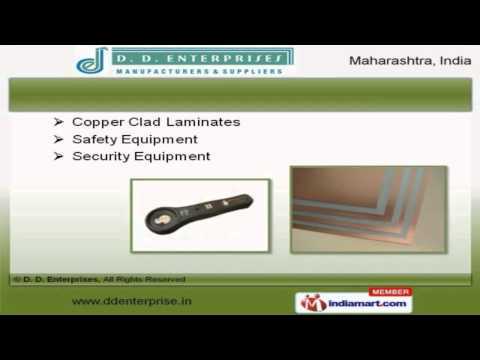 Copper Clad Laminates, Safety and Security Equipment are available at industry leading prices. We are known in the industry as the manufacturer of Fire Protection Equipment, Aluminum Sheets and Copper Balls. We are highly instrumental in presenting a wide spectrum of Traffic Safety Devices, Outdoor Signs and Screen Printing Squeezes. We are one of the trusted names of the industry engaged in offering genuine quality Chemicals for Electroplating and Body Protection Suits for Workers.